Got my LEO and Thai food served so get some missing links uploaded. 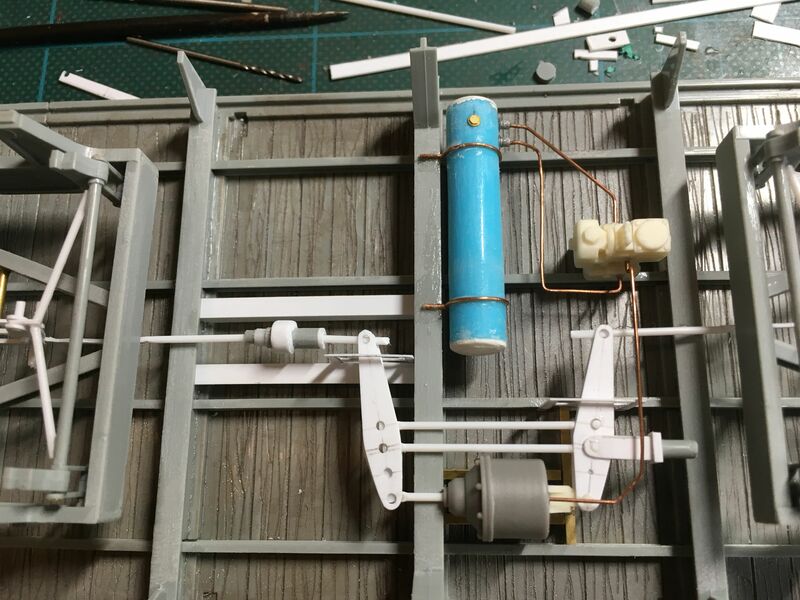 Styrene, resin from LZ and wire. Glad I made samples for every part that was scratched, makes it easy for next builds. LZ resin and PE from the set are designed for 20 tons flatbeds, but have also the essential parts for the SSys. 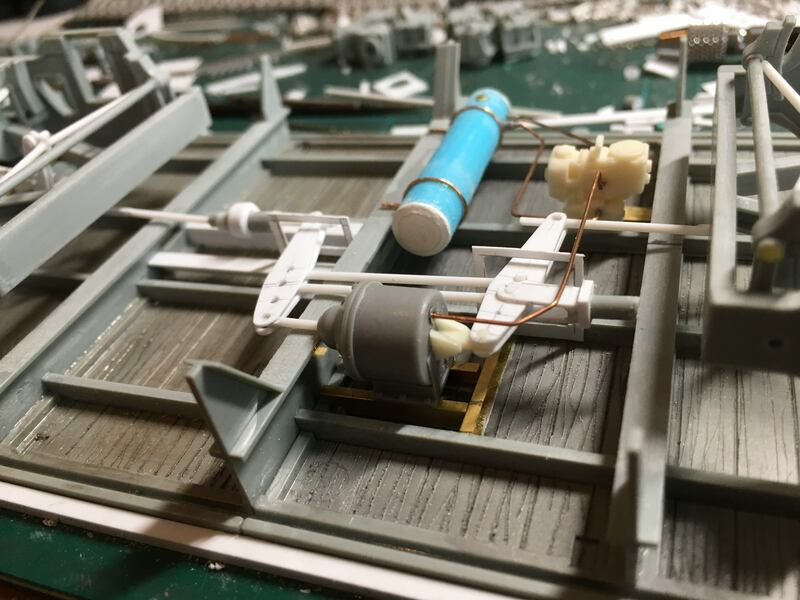 Levers are styrene. Other views from the underside. More to come, will have to upload much more. I'm enjoying following this great build. 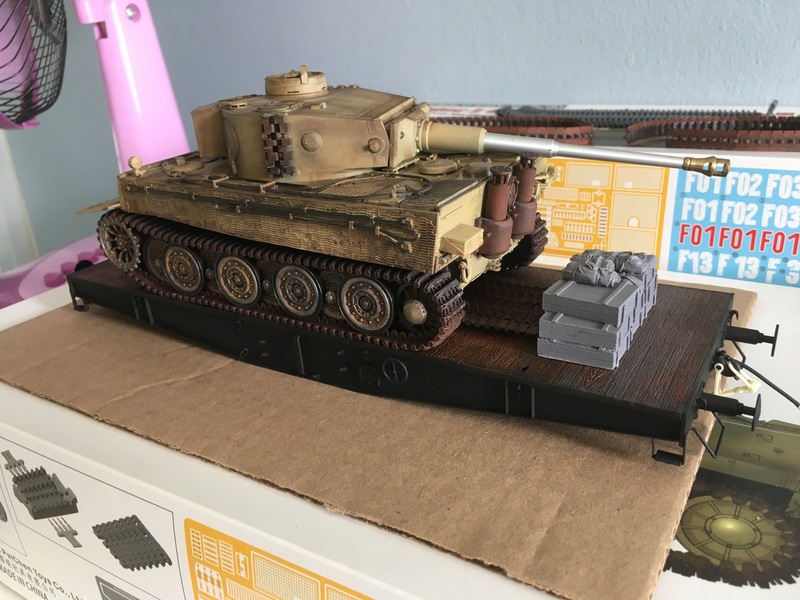 One thing though, I think you said that you're going to put a Tiger 1 on it. Wasn't the SSys flatcar for the Panther and lighter vehicals and the SSyms for the heavier Tigers? Thanks for your interest. From the sources I researched the Ssys were build for the heavy tanks only. I was not allowed to move lighter vehicles on these flatbeds. 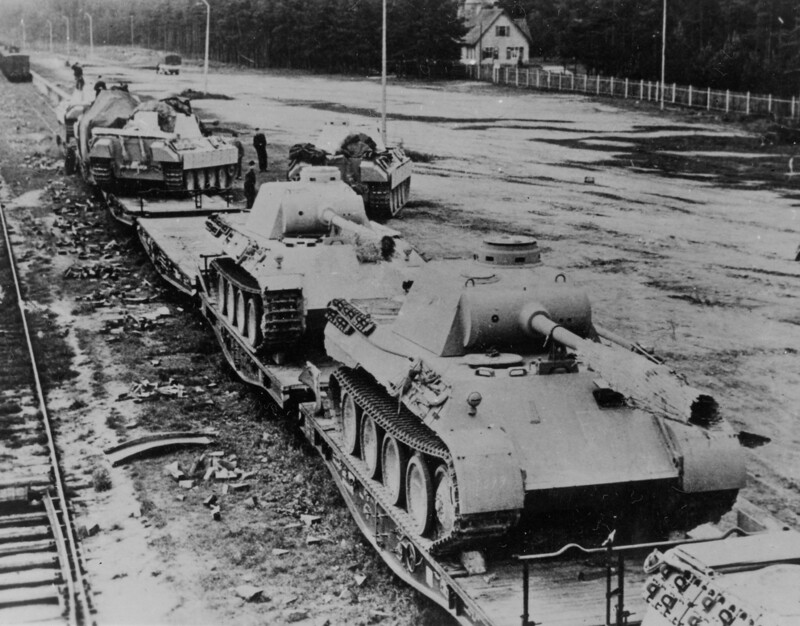 SSyms came later to move the most heavy tanks like Tiger 2. But, seen the transport of a single Tiger1 which is already 52,250 kg., it already exceeds the maximum load for a SSys and not to forget that combat tracks were on the same wagon under the tank. So I could be wrong in this case. Have to check my sources. Panthers on what I think are SSys, but could also be a SSyms,(notice the fence with mechanical brake in the front). Will be updating soon on the build, have a lot of details fixed for the bogies. Now busy with the wood. Loving this thread - just exactly the information I needed - problem is I needed it a few years earlier. Question: Should there be coupling hardware hanging on both ends of this car? The Dragon offering shows it only on one end in the instructions but two sets come with the kit????? I am guessing on only one end but it seems the yardmen would be spending an awful lot of time removing the hardware from one end and moving it to the other. But perhaps freight cars never got turned. Was there some standard guideline as in "when in doubt always leave the hardware on the North or East facing end of the car", etc.? Something about the offering from the Dragon kit(if it is kit 6069) is type SSy. SS type wagons are confusing in a way that in this case we talk about the Schwerlastwagen. As from 1933 there are SSt and SSy. Start of WW2 brings the wagons under new regime and these wagons were only for the transport of military goods. SSys comes in 1942 and is Gattung Kölnischer Bauart, which means type Cologne. All Special or Sonderwagen were Gattung Köln, also the SSyms. 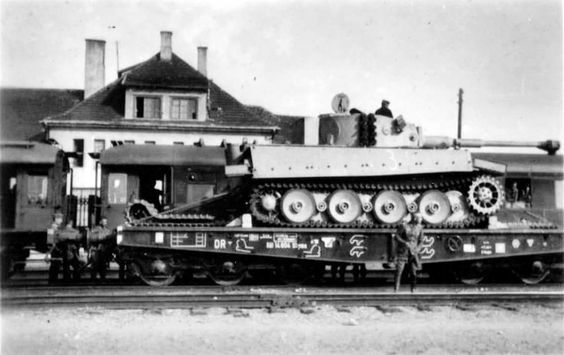 Answer: For very heavy trains there was a possibility to safeguard the couplings by double coupling. Normally a train would stop for a long period so the couplings were switched to the train direction. The loco would made a turn to get back to the front of the train, or in reverse if there was no turntable. See the picture below for details on coupling. There's a little hook to hang the coupling. 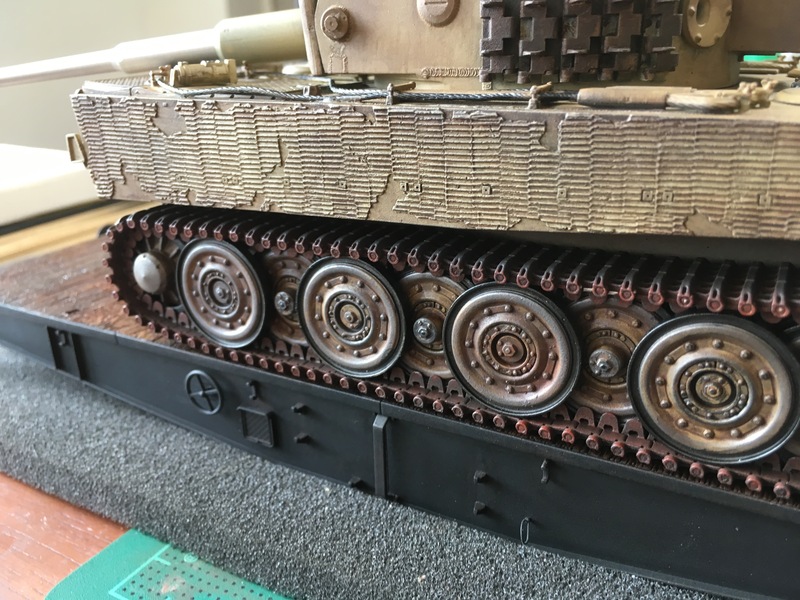 Detail that was missing on the Sabre kit as well. Also seen is a different type of bearing used on the bogie, called Rollenlagern or Roll bearings. Sabre SSys kit has Gleitlagern, same as the picture below. This Pressblech Drehgestell is a longer version of the 2 axle bogie used under the SSys. That partially answers the question. 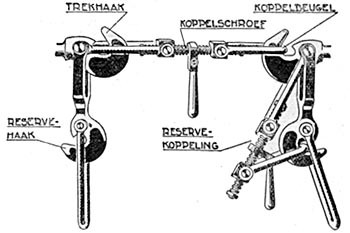 These "double hook" couplers you are showing us here are something totally new to me. 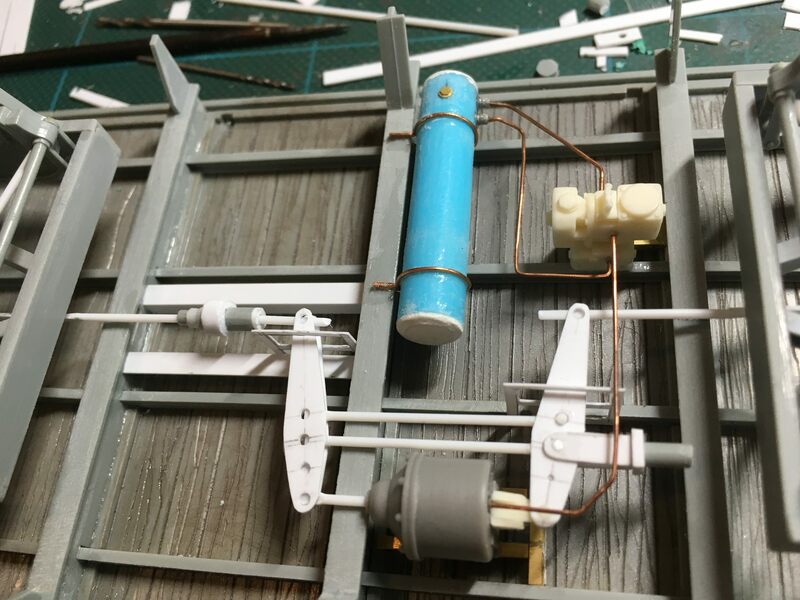 The popular WWII railroad model kits don't utilize these double hooks - is it fair to say these are a more modern design addition and were not available in the 1940's? Also you show the "roller bearing" style trucks. I know these were not utilized (at least in the US) until well after the war. Were these roller bearing style trucks post-war in Europe as well? Given the primary WWII interests of the people on this Armorama site I would suggest clearly marking anything you show us as either "wartime" or post-war". Very interesting your coupler photo that has one newer and one older style coupling. Cool! My references come from Germany (for the bogies) and I will put links in this reply. Your question on coupling; the spare hook is not always there. depends on the time frame. The timeframe we are talking about is III and that will last until the mid '1950, by that time it was not seen so often anymore, as all wagons got brakes. Time frame II until the mid "1920 was a revolution on how we know trains, The roll bearings were even before that time frame II very well known. Check the links below. If your German understanding is ok, enjoy, I remember it is. I got very much interested in the making of those bogies, because it is one of the best design & engineering efforts that can still be seen in real life after so many years. Compared to the Westinghouse braking system it's a draw I think. Sorry some French but unfortunately no comprehension of the German language. Roller bearings prior to 1920 - really???? p.s. 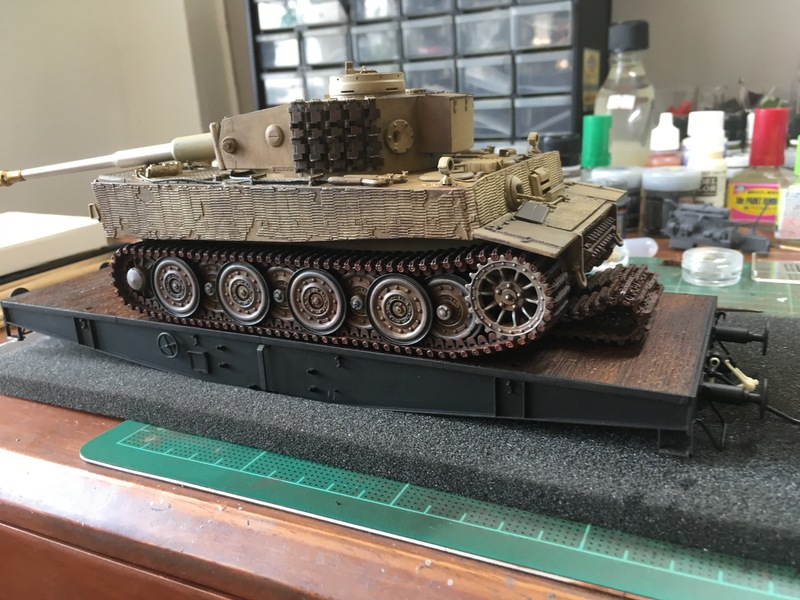 I will now have to order more couplings from LZ Models. Thanks for the info! Not prior 1920. These come from Talbot, 1925. Hello. 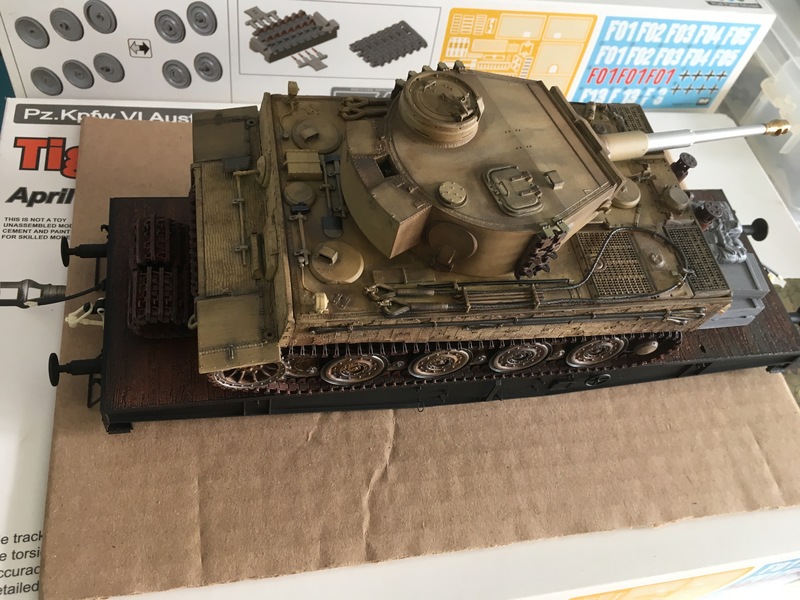 I've managed to get the Tiger on it's transport tracks. Flatbed got some wood treatment, though not finished yet. So here are some shots of todays work. 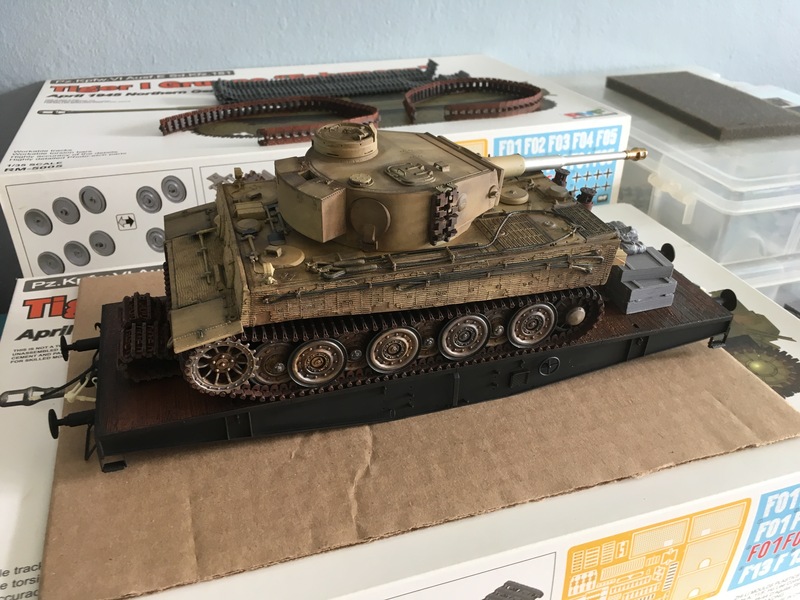 Tiger is far from finished, but it got it's tracks mounted(finally). Used Friul tracks for this. Can say it's becoming a bit heavy now. Ordered a new Flatbed for a truck from LZ Model, it's an OMMR with all the detail underneath. If the resin is not too challenging, I'll make some more purchases. I like the SSyl, ex Russian 60 tons, reworked to German standard. Very cool subject. But first the second SSys with a load to follow. More updates soon, as I'm rocking on this build like never before. 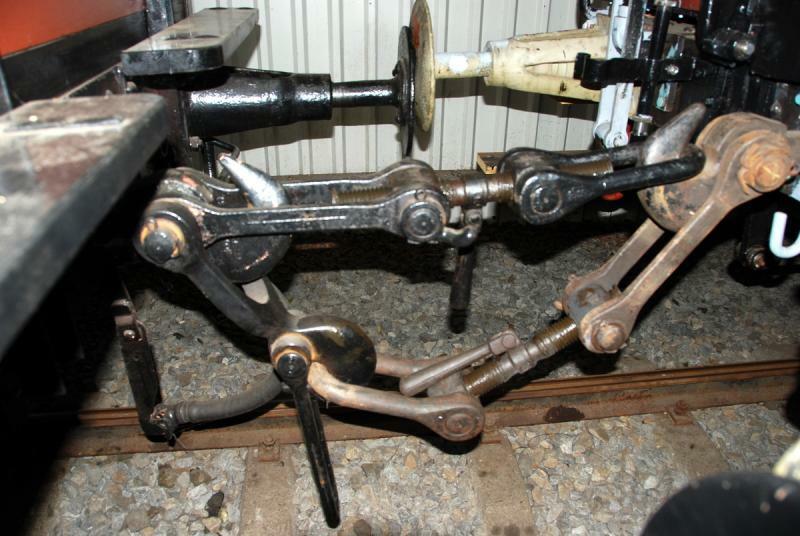 Passenger waggons, three axles, built in 1903, had ball bearings. "Ein weiterer Versuch wurde 1905 von Professor Graham an der Syracuse University im US-Bundesstaat New York durchgeführt. Bei Untersuchungen zum Energieverbrauch führte er einen vergleichenden Versuch mit zwei Straßenbahnen durch, wobei eine mit Gleitlagern und die andere mit Rollenlagern ausgestattet war (Bild 3a). Dabei wurde festgestellt, dass der Energieverbrauch über die Fahrstrecke der Straßenbahn mit Gleitlagern 6,45 kWh betrug; im Vergleich zu 3,10 kWh bei der mit Rollenlagern ausgerüsteten Bahn ergab sich hierbei eine Energieersparnis von 52 % (Bild 3b). 1907 teilte der Betreiber der Syracuse Rapid Transit Co. der Fa. Standard Roller Bearing (SRB) Co. in Philadelphia mit, dass die Rollenlager nach einer Betriebsdauer von 4,5 Jahren und einer Laufleistung von rund 400.000 km keinen Verschleiß aufwiesen. Tramway, Syracuse Rapid Transit Company, reports in 1907 after having used the roller bearings for 4.5 years. 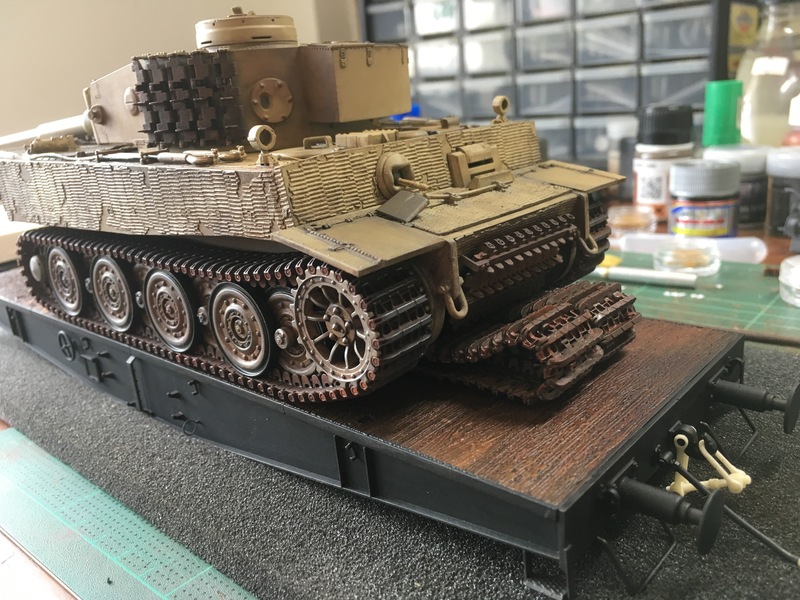 Some beautiful work on the Plattformwagon and the Tiger I! Thanks . Not sure if I can do that what I planned for this weekend because we’re going to move the factory, as from January 2! Busy but will come along! Got the message just yesterday so... weekends will be shorter. Business is going to be number one of the next year, again. This is a fine blog of yours. I am not sure why I had not spotted it earlier. , but you’ve got Library-Robin on board so all is good. He has got sources for every imaginable question it seems. Timken chose a 4-8-4 on which to demonstrate the company's bearings so the locomotive could be used in all types of railroad work, especially on heavy freight and fast passenger trains. A total of 52 different parts manufacturers agreed to supply their parts for the locomotive "on account" until the locomotive operated over 100,000 miles (161,000 km). The suppliers' names were placed on a plaque that was fastened to the tender for the duration of the demonstration period. Assembly took place at Alco's Schenectady, New York, plant. I do not recall just when roller bearings finally became standard equipment on all US built rolling stock but I would hazard a guess that it was not until the early sixties. Must have - no other explanation. Actually I suspect the slow move to roller bearings in the US had more to do with the cheap cost and ample availability of both coal and bunker C oil for running steam locomotives. Why invest large amounts of resources into making trains and locomotives roll more easily when all it was costing the US railroads at the time was a little more cheap coal and oil? I think you are right in that assumption. If you reduce the rolling resistance the same horsepower locomotive can pull more cars and the railroad company can increase their loads without investing in more powerful locomotives.